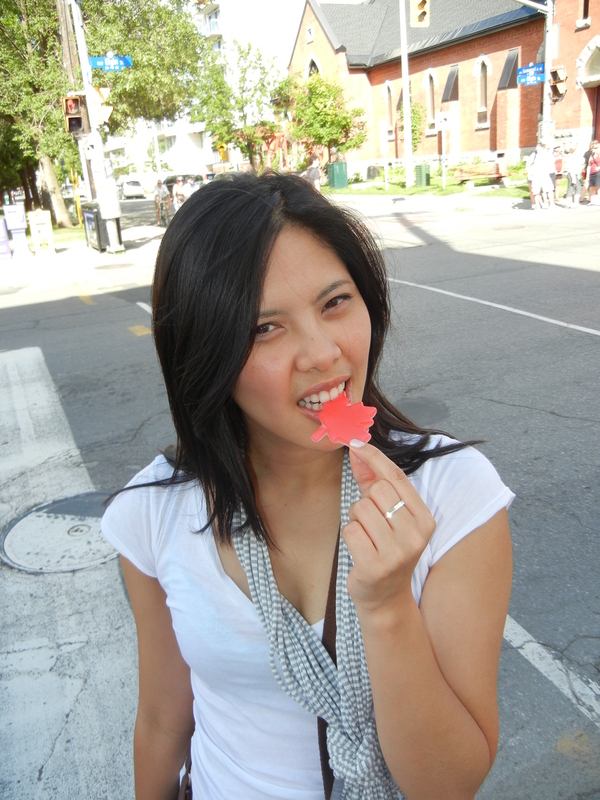 Summer weather has finally arrived and I’m off to Ottawa this weekend to experience Canada Day in it’s finest. 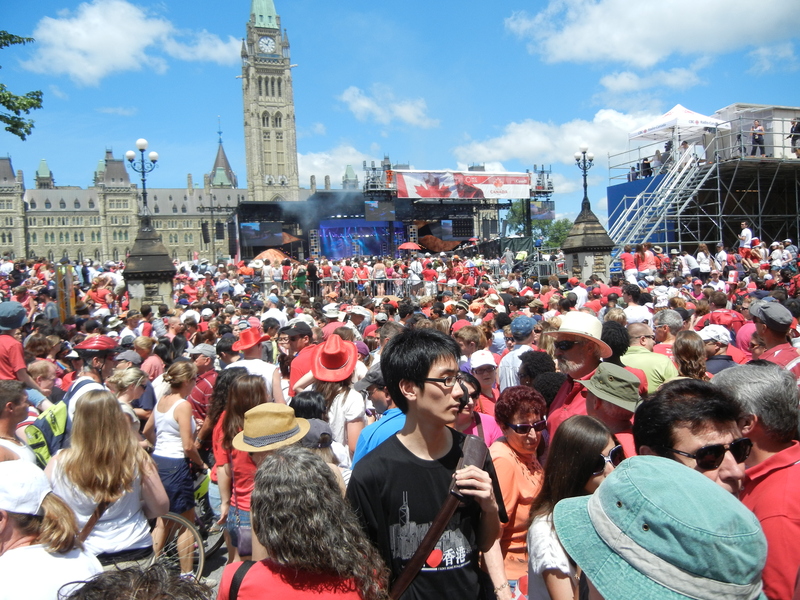 If you haven’t been to Canada Day in Ottawa then you’ve never experienced true Canadian patriotism. Yes, it exists and it’s stronger than you think! A few years ago I had the pleasure of experiencing it through a newbie’s eyes and let me tell you, I was shocked. Everyone came out to Parliament Hill in force. Everyone there was wearing red and white and anyone who wasn’t got the stink eye. People passing by would give you a sign of approval if you decided that today you would “temporarily” tattoo a giant maple leaf on your face. You are a true Canadian if the following morning you have flecks of red still pasted to your face. 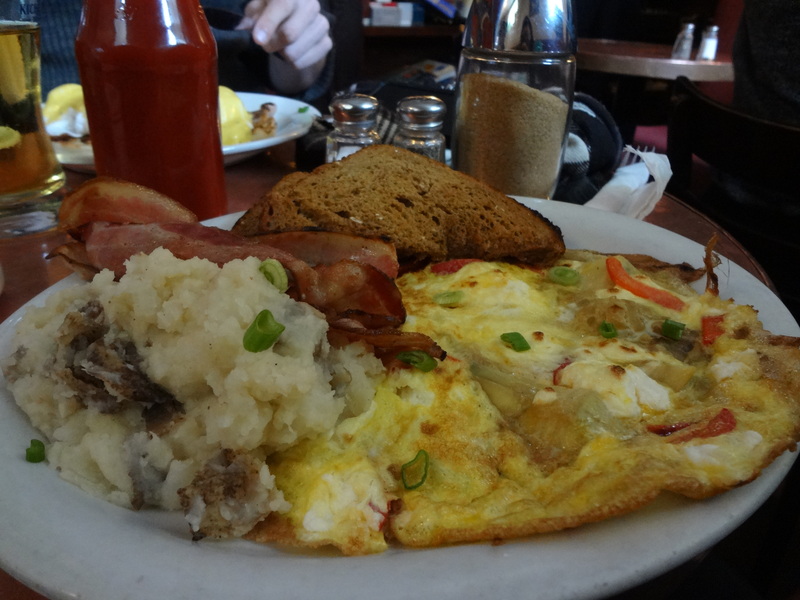 So what’s best in FOOD in Ottawa? This weekend I plan to find out! I have had lots of recommendations and a small head start but there are definitely more places on the list. On Robyn‘s hearty recommendation for Manx Pub I’ve now been twice to this basement restaurant – yes, it’s that good! On my last visit Benny, Chris and I stopped in and I noticed they managed to make their basement dwelling not just accommodating but warm, cozy and inviting. 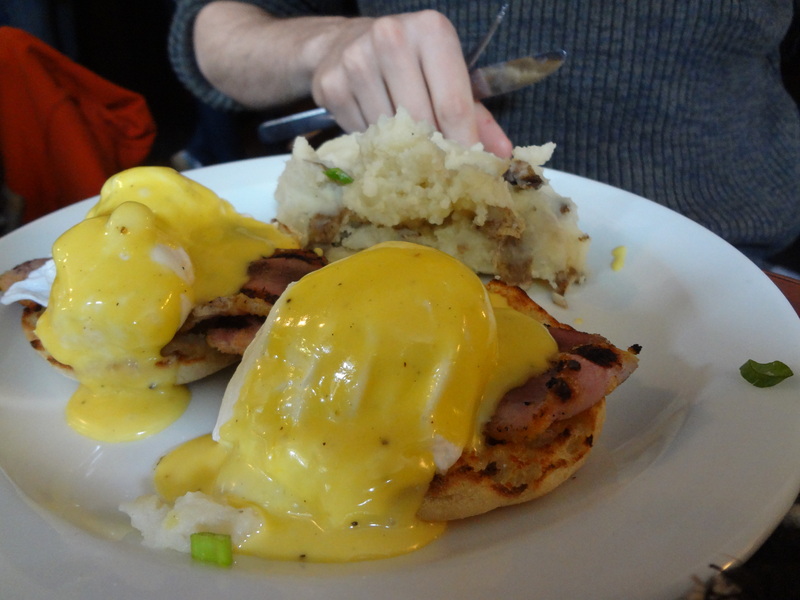 Manx is just one of many awesome places to try in Ottawa and I can’t wait to visit the other brunch recommendations from friends and family. Next stop for breakfast will be another of Robyn’s recommendations the Scone Witch and Rachel’s recommendation Stone Face Dolly’s. 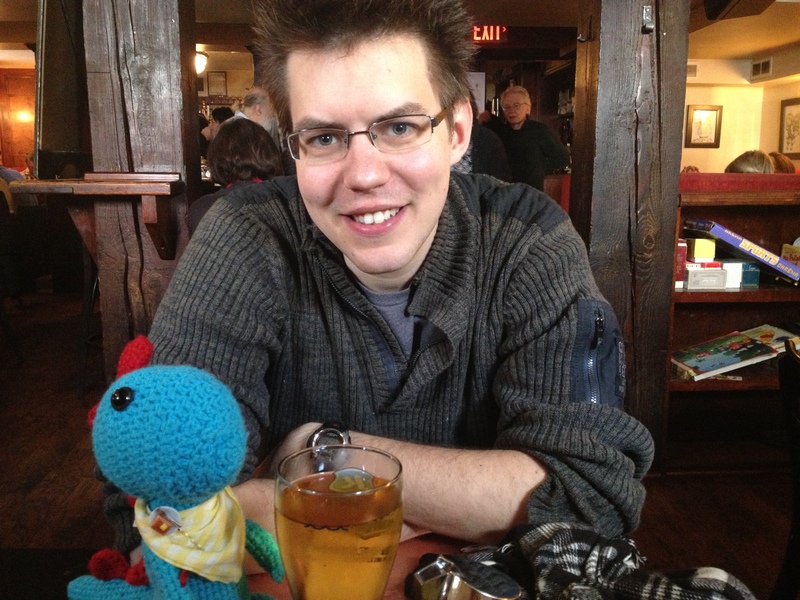 If you want live updates of this year’s trip in Ottawa and Canada Day (you know you do!) be sure to check for updates on Facebook, Twitter and Instagram! T-3 days ’til Ottawa becomes the happiest place on earth! Happy Canada Day!! May you wear your red and white proudly, eh! 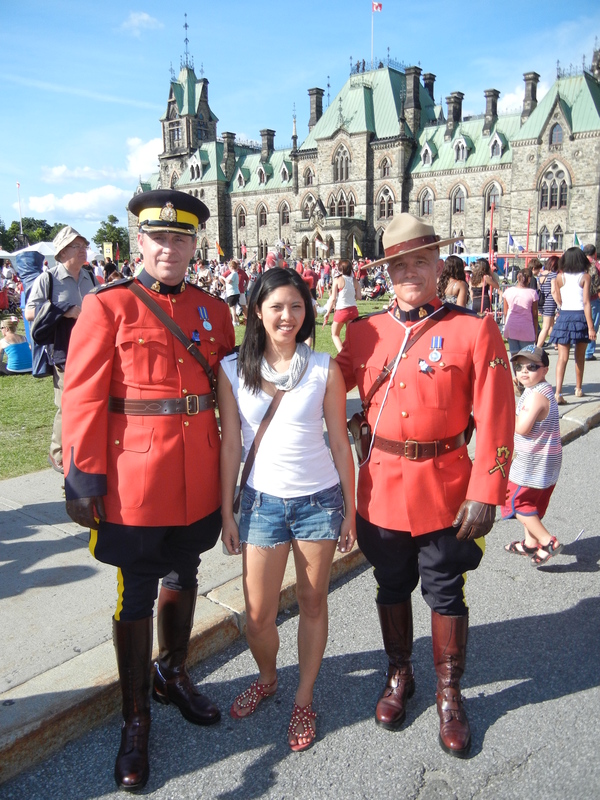 Me and Canadian Mounted Police on Canada Day!